When I made the switch from working a job to starting my own business and working from my home office, I was amazed at how free I felt! Now I ultimately decide when and how much I work. How awesome is that? I've got a great groove going on most days now, but it didn't happen overnight. Working from home has its challenges, and it's not always sunshine and rainbows. 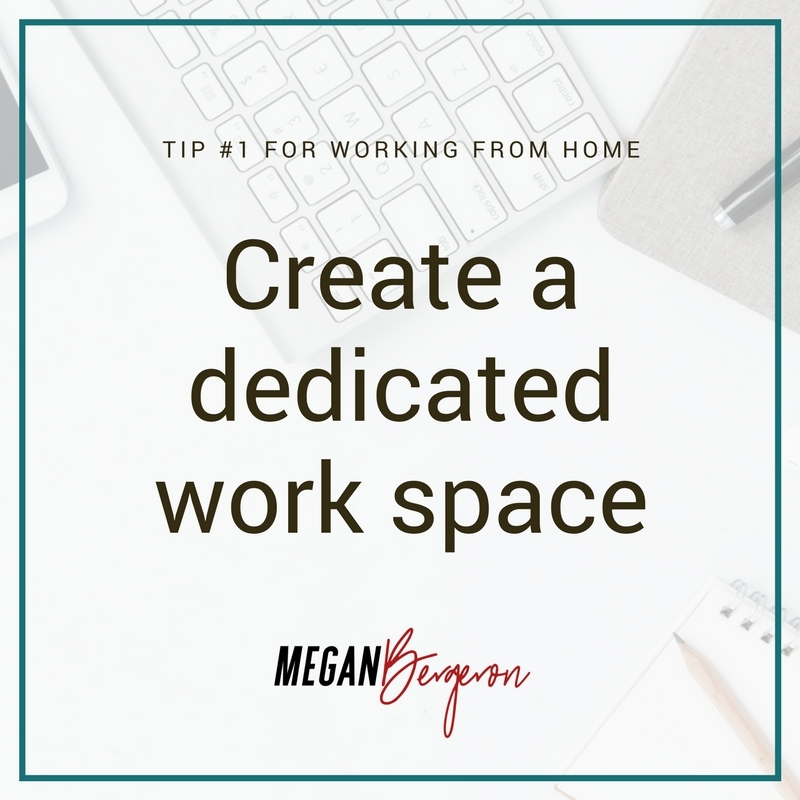 Being in charge of everything in your day is great, but there are a million distractions at home, and how you choose to approach your work directly impacts your ability to financially support yourself and your family. That can be a lot of pressure! 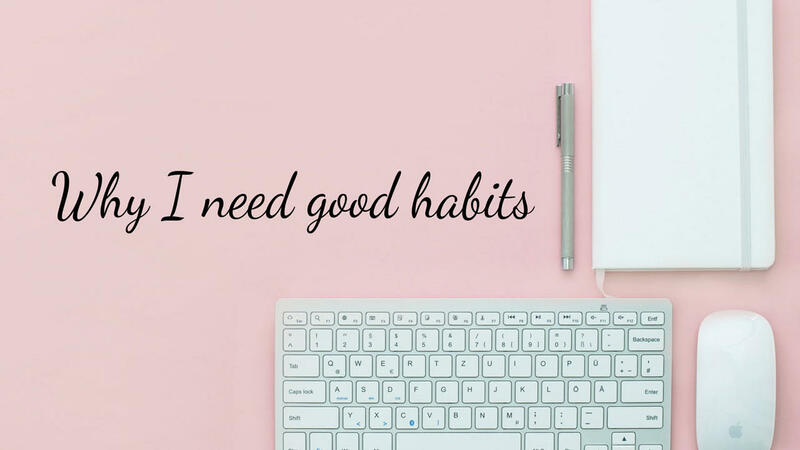 Thankfully, great habits can make all the difference. 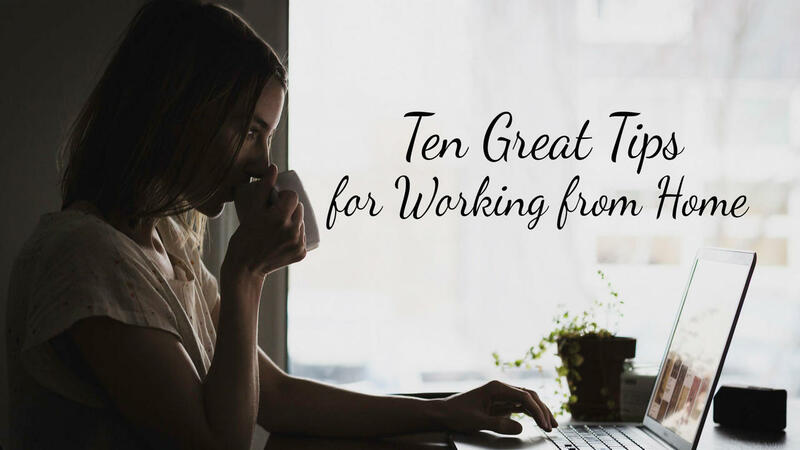 I have a ton of entrepreneur friends who know a lot about this from their own experience, so I asked them for their favorite ways to stay productive, focused, and balanced when they work from home. These are their tips - in no particular order - along with a few of my other favorites. Last week I was in a creative rut. It was almost as if I had so many different sources of inspiration that I was overwhelmed with the choices and needed some time to sort through it all and find some clarity. I felt the need to figure everything out YESTERDAY and as a result, I felt completely creatively blocked. It wasn't my most productive week to say the least, but I still had high expectations of what I wanted to accomplish. This week, I'm determined to get a fresh start and put this low behind me. I started thinking: What did I do differently last week anyway? I had been on a good productive streak for the last little while, what made last week different? 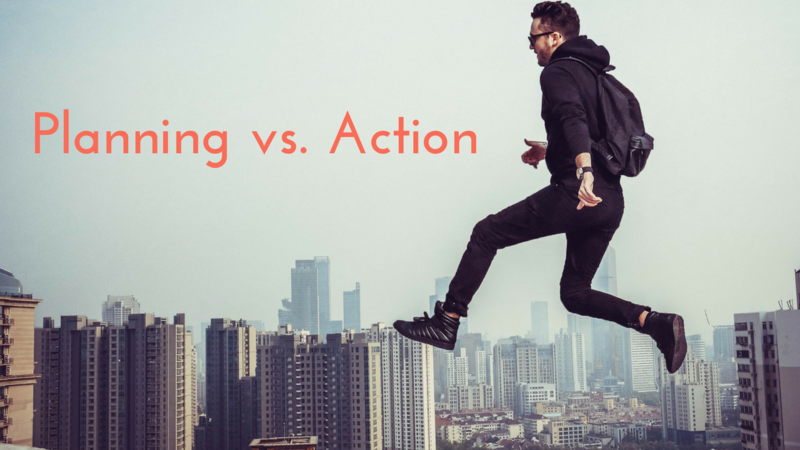 The planning vs. action debate keeps popping up in business. I'm usually pretty neutral in a debate because I love to look at things from both sides. In this debate, I really do see the benefits of planning (ahem - that's what I do, I help entrepreneurs strategically plan to reach their goals! ), but nobody reaches their goals without action! The two go hand in hand, and a combination of planning and action is usually the best approach. Obviously, endless planning without taking action is pointless, but taking blind action without planning means you have no idea where you're going. It's vital to strike a balance between the two in order to get the best results. 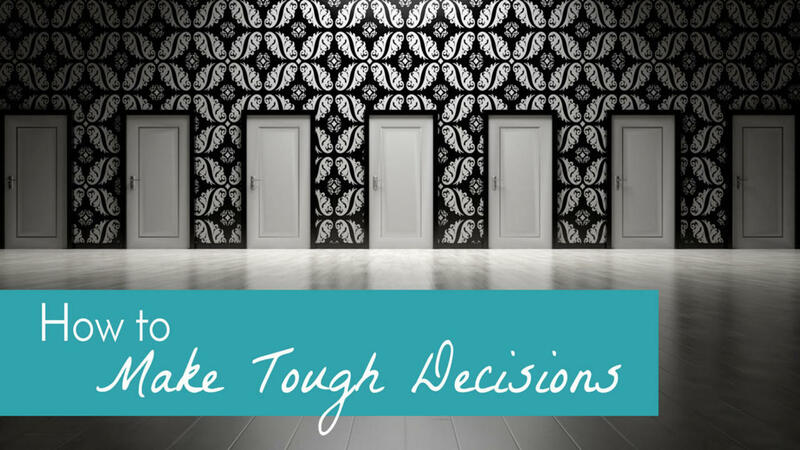 Have you ever struggled with making tough decisions? Have you you experienced being so worried about doing the wrong thing that you ended up putting it off and not doing anything at all? This is something that I used to struggle with quite a bit, and I know that a lot of other people do too. I used to agonize over tough decisions and get caught in the "analysis paralysis" trap. Sometimes I would over-think it to the point where I would avoid the decision altogether! Over the years, I've gotten a lot better at handling tough decisions. I've researched different approaches to making good decisions, and I've also looked back at ones I've made in the past - comparing the good ones to the not-so-great ones - and looking at how they were different. Do you ever get stuck in your head? Over-analyzing every move and wading through the weeds of fear and negativity in your own mind? Let's be real - we're all human. Sometimes we fall into a negative spiral, not quite sure how to make our way out. 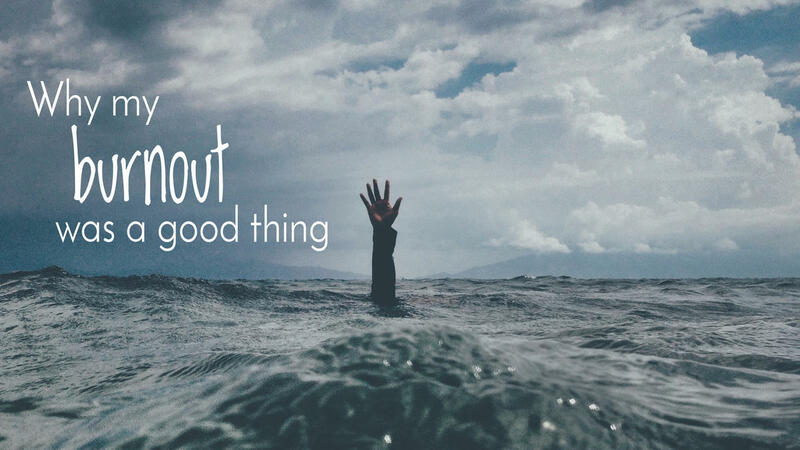 The most positive and productive people sometimes fall into this trap, and can end up feeling worried, lost, and confused - even if we think they've got it all together from the outside looking in. I used to be in this state almost constantly. Looking back at that time in my life, I don't know how I did it! That's no way to live, and I'm very grateful that I now live my life mainly from my heart rather than my head. Being an entrepreneur is one of the most gratifying things you can do. 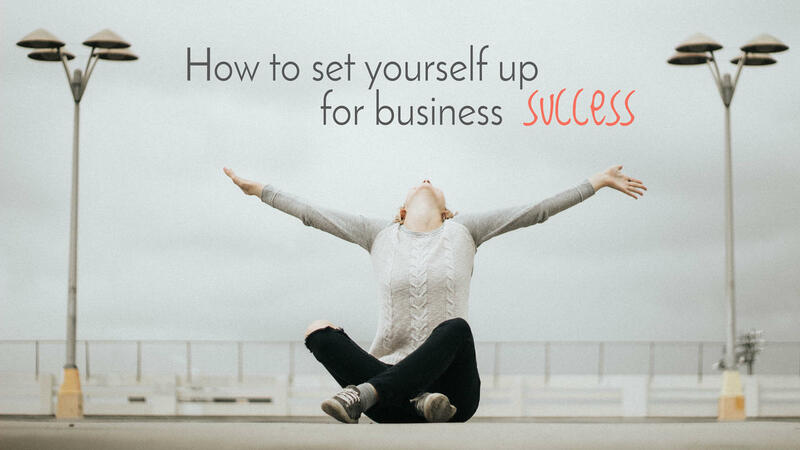 You get to be your own boss, dream big, and really take charge of your life! But - as a good friend of mine once said - sometimes, it’s not all ice cream and waffles. Long hours and feeling overwhelmed can easily cause doubt to creep in and make your big dreams seem almost impossible. But keep your chin up – IT’S NOT IMPOSSIBLE! Stay positive, focused, and determined, and build the skills you need to make those big dreams a reality. Here are four skills - in no particular order - that will help you stay the course and build the business you know you’re meant for. I had a burnout. There, I said it. I don’t like to admit that because I’m an overachiever and I hate to appear weak, which is what led to the burnout in the first place! 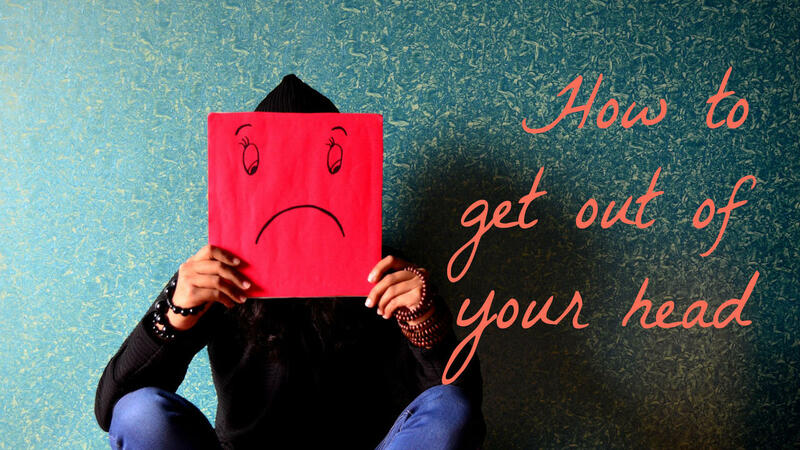 I was working a great job, managing operations for a national company, but I ignored the fact that I was working way too many hours, taking on an exceedingly heavy workload, and putting way too much pressure on myself. At the time, I would have argued that it wasn’t my fault, those were just the demands of the job and I needed to keep up or get out. I felt trapped because the last thing I wanted was to be someone who “just couldn’t cut it”. I was determined to outwork and outperform everyone, and hold it all together at the same time. Hey there, I'm Megan! I'm passionate about helping entrepreneurs boost the skills they need to start and grow their businesses. I've always loved learning everything I can about whatever I'm doing, and I love sharing it with others! I truly believe that anything can be learned with the right help and guidance, and my goal is to share that perspective with other business owners and help them achieve their dreams. I've been very lucky to train hundreds of entrepreneurs over the years, and I've noticed that we typically tend to fall into one of two categories: Dreamers and Doers. If we're more inclined to be Dreamers, we're creative and intuitive but may stumble when it comes to executing our great ideas. 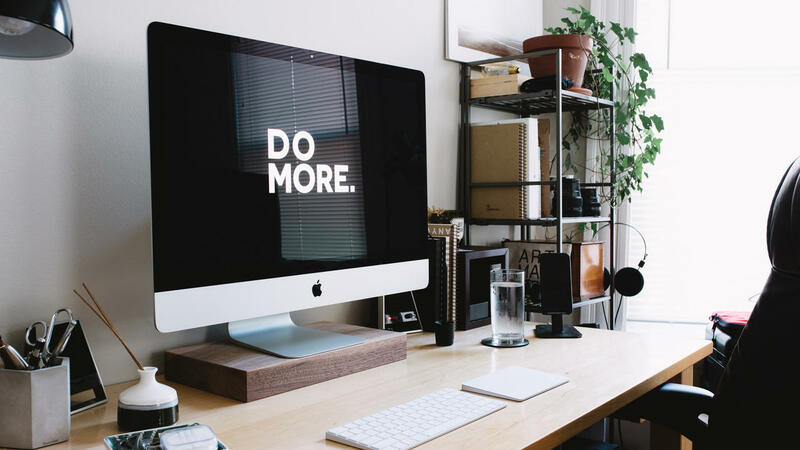 If we're more the Doer type, we're great at getting things done but we might get so wrapped up in the nuts and bolts of our business that we don't see the bigger picture.